Board meetings are held at the school on the fourth Wednesday of each month at 6:00pm in Huth Commons (unless otherwise noted below). 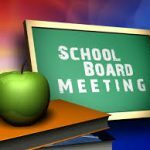 Minutes from Hawbridge Board of Director meetings are approved during the following month’s regular meeting of the Board. The approved minutes are then typically posted within one week of the date in which they are approved. A lag time may occur, however, under certain circumstances, such as if the Board Secretary is absent from a regular meeting. Agendas and minutes for meetings prior to 2016 are available upon request from Executive Director, Mya Ciccotti- mciccotti@hawbridgeschool.org.